Their mission, "Be a gift to the world". The Rotary Club Makati Gems continues to do selfless activities and reach out to bring happiness to others. The Rotary Club is composed of GEMS. They are empowered women guided by the mission to "Go The Extra Mile in Service". It is a privileged to be invited at the recently held Rotary Club Makati Gems in celebration of its 6th anniversary with the theme: "Shine Bright Like A Diamond". Gracing the event was past and present officers and members. For a first timer guest in a Rotary Club event, I found out it's not just the usual party. There's fellowship and social activities. A special occasion such as this provides camaraderie and introduces the new members of the club. I enjoyed watching the Rigodon de Honor, it's been a while since I last saw such elegant dance. It's a French dance from the Baroque style period. The Rigodon dance starts with the couple or two people facing together and then dancing or hop stepping to create different positions. Have you tried or participated in the Rigodon de Honor? I would love to. It was a nice dance performance especially that the ladies were all in pretty long gown. They look so elegant their inner beauty indeed shined bright like a diamond. I've been visiting Skin Rejuve Clinic in Timog but just recently that I was able to talk to Ms. Prescy. She's very accommodating and easy to deal with. She wears different hats - mom, wife, entrepreneur and now President of Rotary Club. She's a great example of empowered woman. I also had the chance to talk to the ladies of the Rotary Club Makati Gems. They shared their experiences working at the Rotary and the reasons why they devote their time and effort to serve others. "There's joy and happiness in serving others" they told me. "Even if our husbands do not understand what we are doing" then there was laughter. 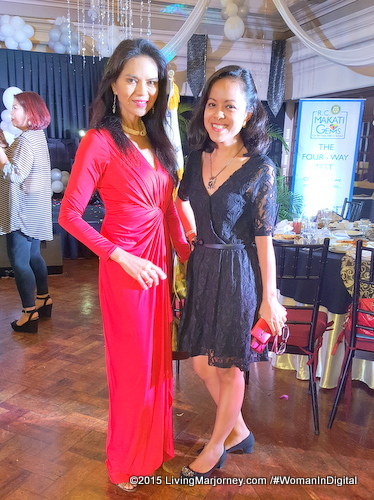 I also spotted Ms. Maria Isabel Lopez. Rotary Club members work together to create positive change in communities. They support and save mothers and children, provide clean water in different communities, support education among others. One of the highlights of the 6th Rotary Club Makati GEMS Anniversary was the handover and induction ceremony. The passing of leadership to the new president, Prescy Yulo and the induction of new members. Prescy Yulo received the responsibilities of becoming Rotary Club of Makati Gems New President. She and all the members are truly an example of an empowered women. They continue to provide help for those who are in need. The Skin Rejuve Clinic owned by President Prescy Yulo helps men and women boost their confidence by making them look and feel good. I like what Ms. Yulo said on her speech " Let us Go The Extra Mile in Service however far and difficult." 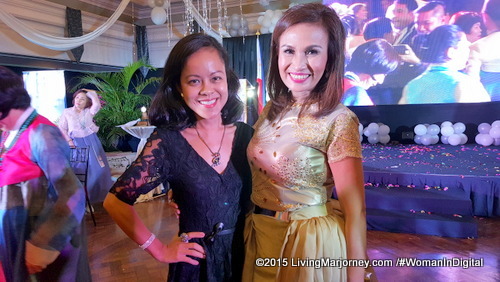 Congratulations Ms. Prescy Yulo and Rotary Club Makati Gems. May you and your members continue to support the community and empower women so that they in return support their families and the community.